I remember when Romaldin, her husband John and their son (our enemy) Ignatius moved into their sweet house. The first thing that struck me about the place was that there were no doors. You would walk right in to the seating/extra people sleeping area. If you turned right, you’d be in the kitchen. If you went left, there was a bedroom in which the bed took up most of the space. The bathroom was almost one of those bathe-under-the-stars kind and as kids we were mortified that someone would look over the wall while we were inside. We rushed our baths and went back out to sit and find some game to play. Even if I strain my brain to think, I can’t remember what we did. We were too young for cellphones, and the TV hardly worked. We waited to eat, played dress up or had Ignatius entertain us. We chased each other around in the dark and swatted many mosquitoes. It was like camping, even though I’ve never been camping so I’m not sure if it really was like that at all. On one of those early days when we had gone to stay over, I was in their newly painted kitchen. John had just applied a simple coat of whitewash for the very first time. It was a quick job but it lit up that small space and made it a little more special. Even today, that kitchen fits only 2 adults comfortably at a time. I remember Romaldin pulled out the masala grinder and was making recheado. The mixer did not have a lid and I was supposed to be holding on to the top with a makeshift cover before turning it on. And so, I did exactly the opposite. I turned the knob to “high” and forgot to put my hand on the lid. It all happened in slow motion. Those newly painted walls were dressed in bright red masala. So were my clothes and everything else in that room. I was mortified and embarrassed and very confused. HOW DID THIS HAPPEN?!!! I went and told her what happened or maybe she walked in and saw it for herself. I didn’t get scolded. Romaldin may have laughed and proceeded to clean up my mess. She wiped down the walls, the counters (everything basically) and told John he would have to paint over the red-stained walls. I reminded her of this story when she was making this recipe for me a few weeks ago. She didn’t remember it all exactly as it happened but she made the same face she made all those years ago and I knew we had come full circle. 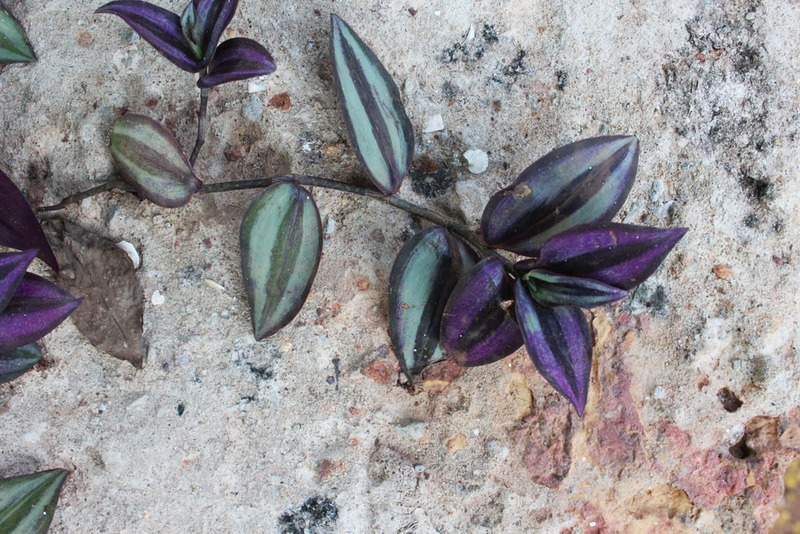 I knew it was recheado masala because I can’t ever forget that colour. Before we decided she would teach me how to make this recipe, I asked her what she thought she cooked the best. Of all the foods she could have said, this was it. Her family agrees. Sometimes when we go over to see her, she sends us back with a bottle of it. Her home still has no doors (just a gate) and she magically whips up meals for people with no notice. I’ve lost count of how many times we’ve called her while we’re driving to her house saying, “We’re coming over!” She always says “come”! Now she has the most magical unicorn seven-year-old daughter too and we do all of the same things like before. There’s always food to be had and stories to hear. Like that one time I took my hand off the mixer lid and….you know. In Portuguese, “recheado” means stuffed. In Goa, we pronounce it as “ray-shad“. 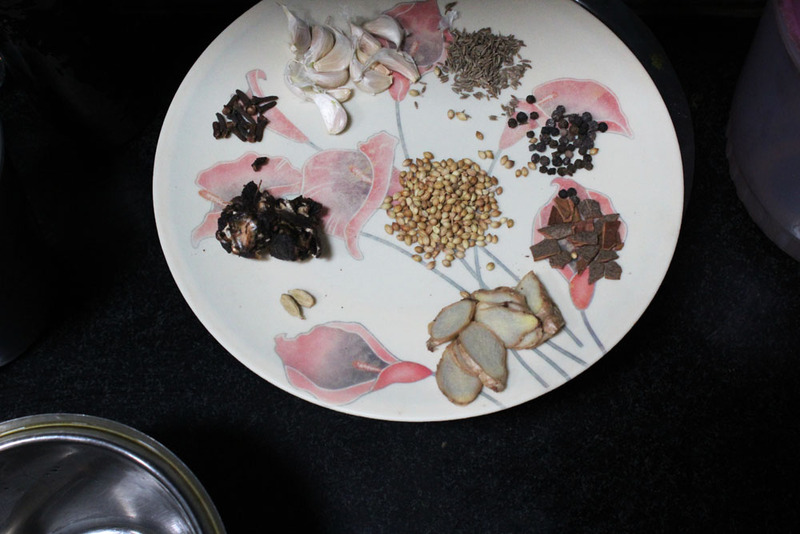 This masala is also used to stuff fish like pomfret and mackerel, which is then fried in oil. 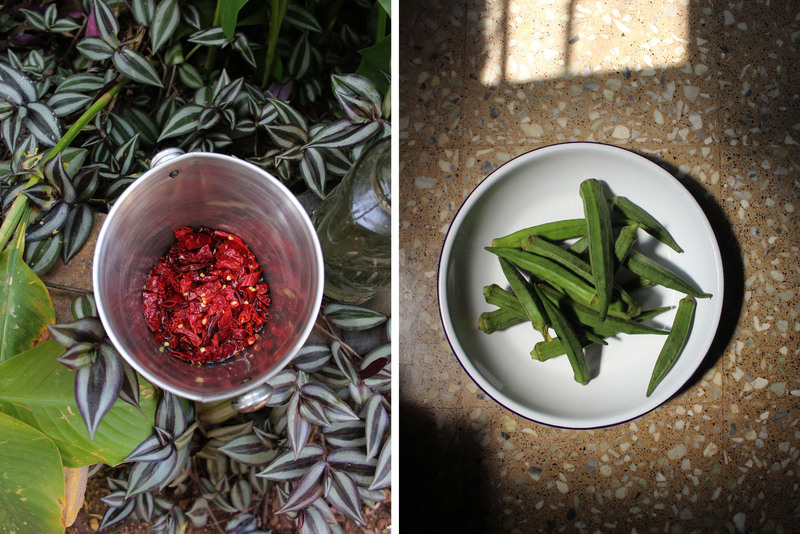 I used bhendi/okra because this is my most favourite ways to eat the vegetable and I had bought some the day earlier. It tastes best with fresh fish. Most of the ingredients on the list can be bought at any Indian grocery store if you are not in the country. Coconut vinegar is available online and you can find it with an easy web search. Romaldin recommends frying some finely chopped onions and garlic and adding it to the portioned out recheado before stuffing it into the fish or vegetable. This recipe makes extra recheado masala. Keep it refrigerated for up to 2-3 weeks. The vinegar and spices help preserve it quite well. 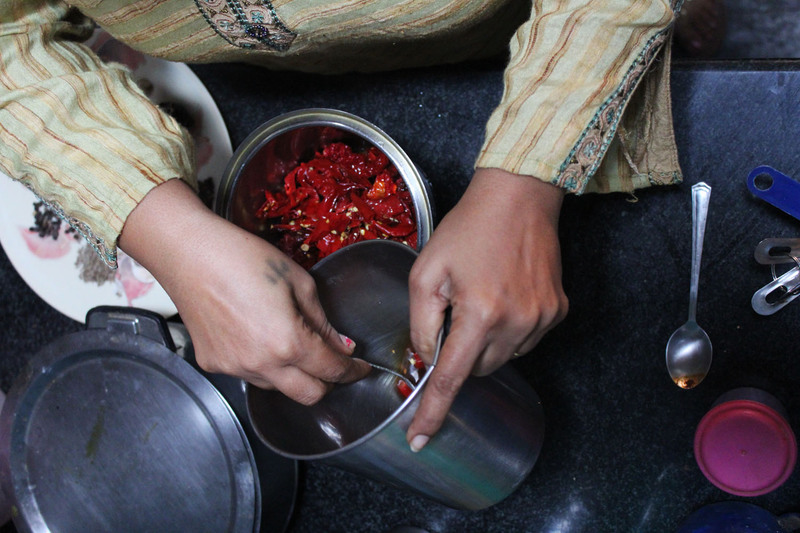 Place the chillies in a bowl with some depth and add the vinegar to it. Put another bowl on top of the chillies and add some weight on top of it, like a full bottle of water. The weight should press down on the chillies. Let this sit for 3-4 hours. 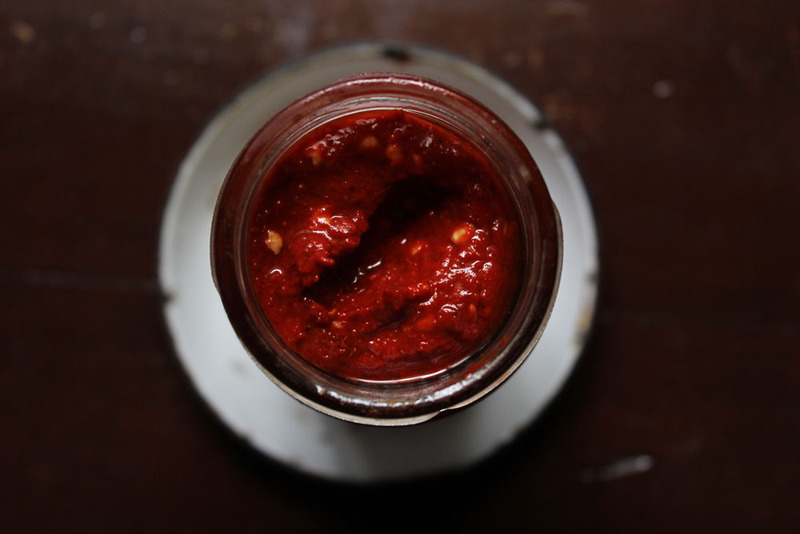 After the chillies have been soaked, add all the other ingredients to a high-speed blender with half of the vinegar and blend until it forms a thick and smooth paste. If the paste is still chunky, add more vinegar. Make sure the paste doesn’t get too thin or you won’t be able to use it to stuff the okra. Taste for salt and add more if required. 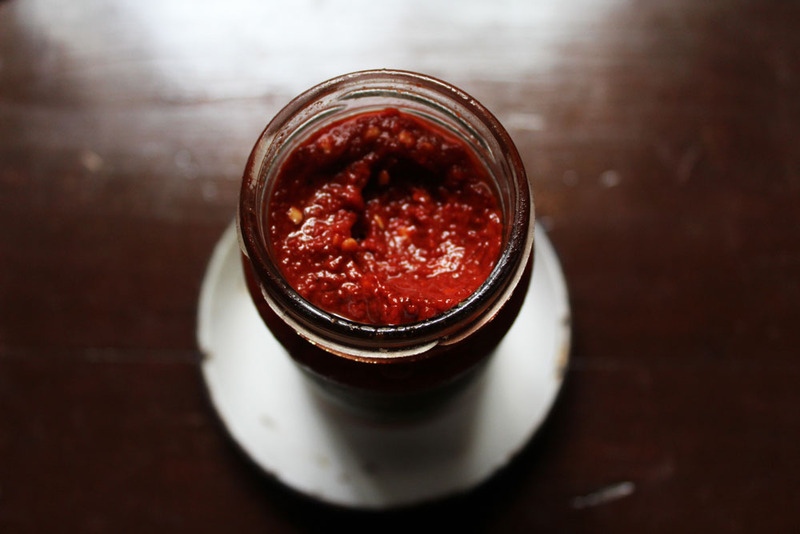 The recheado should be tangy, spicy, sweet – all in one! Slit the okra down the middle making sure not to cut it right through. 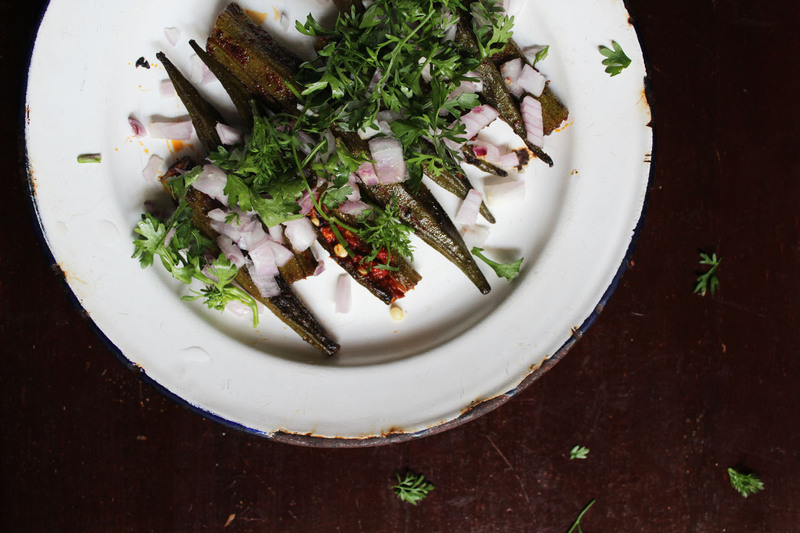 Add the recheado masala into the okra using your fingers. 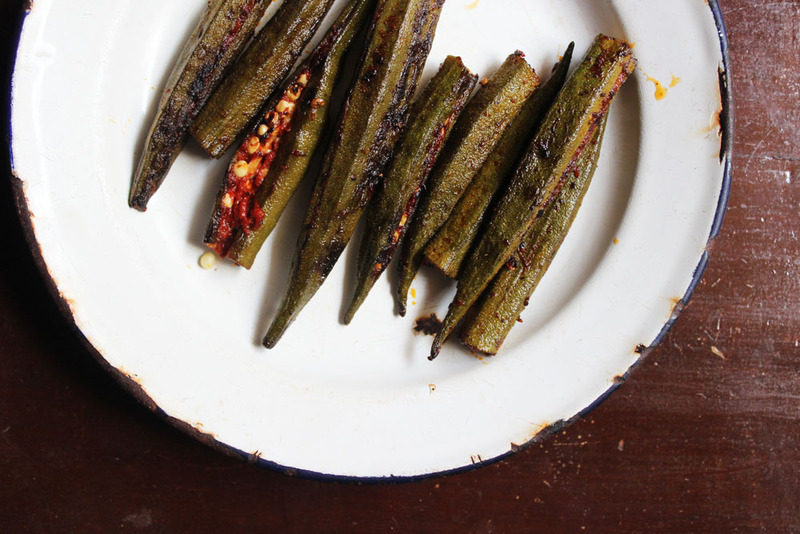 Sprinkle some rock salt over the okra and toss lightly to coat. 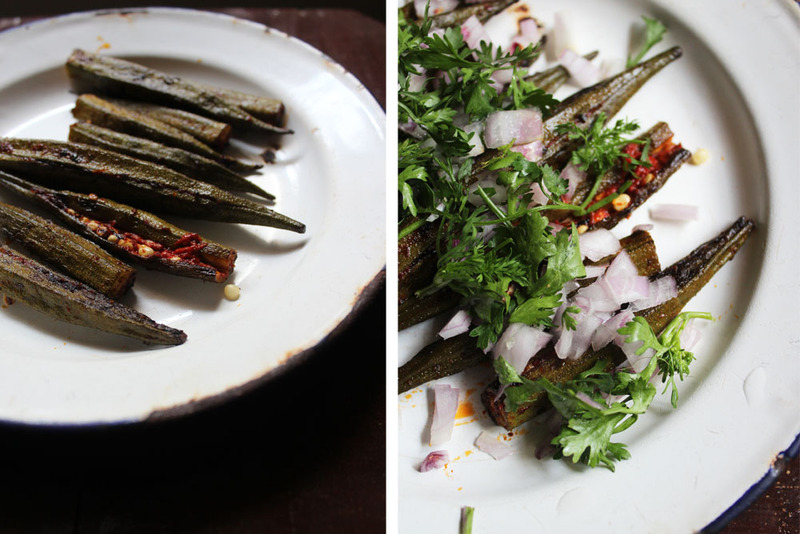 Heat oil in a frying pan and add the okra to it. 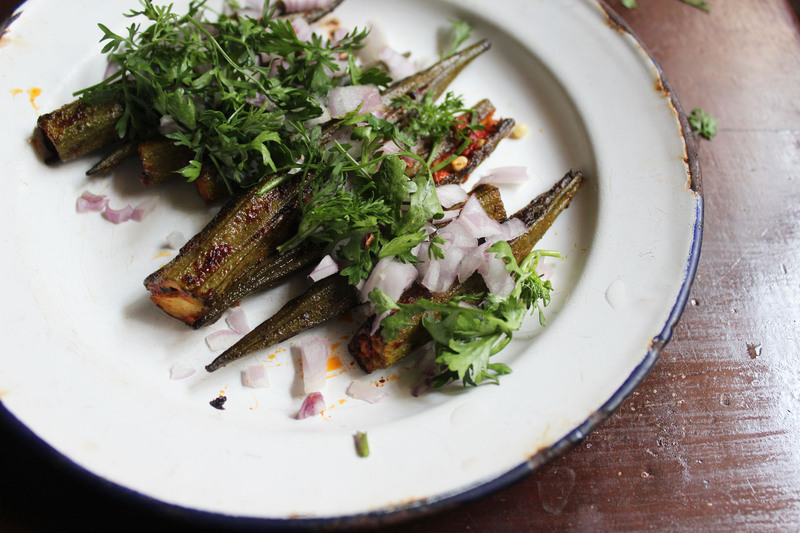 Cook for about 7-10 minutes until the okra turns darker in colour and the skin is lightly blistered on all sides. Serve topped with onions, cilantro and squeezes of lime. Each time I read your blogs I feel like I know you a little better and I always get super hungry afterwards . You have a very beautiful gift of simplistic discription that paints your memories/thoughts so well. I am thinking you should open a restaurant so I can taste all of your good ???? Thank you, Suzy. I really appreciate your genuine compliments. Saw that you ate at Saffron Grill recently too. One day I’d love to cook you a meal from my side of the world. I love, love, love this recipe and the story! A. Recheado Masala has been on my mind for a while. B. In my parents home, bhindi was only ever made ONE way. As delicious as that is, over time I’ve realised that theres absolutely no original vegetable flavour or nutrition left in it. For so long is it bhuno-ed and bhuno-ed and bhuno-ed some more! I can’t wait to try this and use the masala with other stuff. Praerna! That’s so nice of you. I’m passing all the credit to Romaldin because she’s the pro. That said, true homecooks never have measurements so if you do try it, let me know if something tastes off or if it’s just perfect. The only thing I was worried about is the amount of vinegar. I’d be perfectly happy to go back to the drawing board if anyone is unhappy.